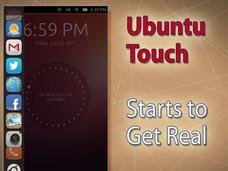 The future doesn't look very bright right now for alternative mobile operating systems Firefox OS, Tizen and Ubuntu. 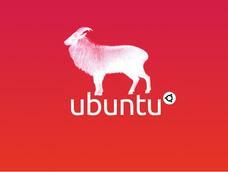 Against the odds, Canonical and Spanish company BQ are continuing to push Ubuntu for smartphones over Android and iOS. BQ's second Ubuntu phone is a step up from its inaugural effort, and the two companies are also working on a smartphone that's also a PC. Four smartphone OSes that hope to find room next to Android and iOS were on display at Mobile World Congress, but the most exciting were Ubuntu Phone and Sailfish OS. Google has adopted for use in its cloud a streamlined version of the Canonical Ubuntu Linux distribution tweaked to run Docker and other containers. Spurred by the sudden success of the Docker virtualization technology, platform services provider Joyent and Linux distributor Canonical have each open-sourced their container technologies. Four new smartphone OSes intend to challenge Apple and Google's dominant position. Mozilla's Firefox OS is the first out of the gate, but Canonical, Samsung Electronics and Intel, as well as Finnish upstart Jolla Mobile, are also getting their alternatives ready.